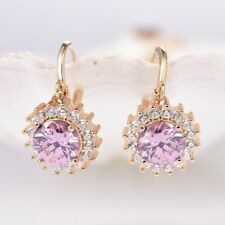 Lady Party Round Pink Cubic Zirconia Gemstone Gold Flower Dangle Earrings 0.6"
It does not flake off, tarnish or discolor. Weight:9.4 for pair. Free gift box Germany& French. United Kingdom. Product Type: ed01541c. 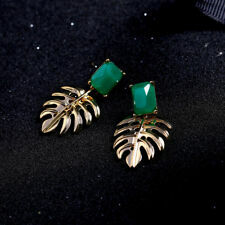 Color Options: Green Earrings. Material: Zinc Alloy ,Crystal. The chain is strong enough to wear. The price is well enough for the people who want to get it. It does not flake off, tarnish or discolor. Gold filled jewelry is an economical alternative to solid gold jewelry! Although it isn't solid gold jewelry. Gem Type:blue sapphire crystal. Main Gem Size:10mm 15mm. It does not flake off, tarnish or discolor. Gem Type:Pink Cubic Zirconia. Main Gem Size:9mm. Gold filled jewelry is an economical alternative to solid gold jewelry! Although it isn?t solid gold jewelry. Product Type: ed01722c. All the product are lead, nickle, cadminum free. All the product are lead, nickle, cadminum free. Material: Zinc Alloy ,Crystal. The chain is strong enough to wear. Wear it by yourself of for gift. Product Type: ed01582c. All the product are lead, nickle, cadminum free. The chain is strong enough to wear. Product Type: ed01686c. Material: Cultured Pearl, Acrylic Pearl, Crystal, Zinc Alloy. All the product are lead, nickle, cadminum free. The chain is strong enough to wear. Product Type: ed01682c. Material: Natural Stone, Zinc Alloy. The chain is strong enough to wear. Color Options: gold color. Product Type: ed01590c. All the product are lead, nickle, cadminum free. The chain is strong enough to wear. It does not flake off, tarnish or discolor. Gem Type:Sapphire crystal. 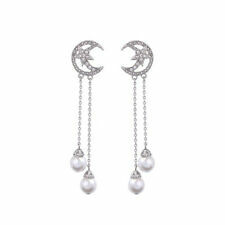 Earring length:15 35mm. 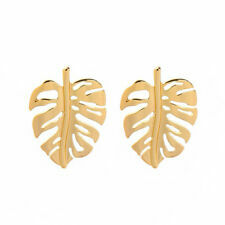 Gold filled jewelry is an economical alternative to solid gold jewelry! Although it isn?t solid gold jewelry. It does not flake off, tarnish or discolor. Cut: Marquise Brilliant. Gold filled jewelry is an economical alternative to solid gold jewelry! Although it isn’t solid gold jewelry. About Gold Filled. Free gift box. Product Type: ed01012c. Color Options: Brown Earrings. Material: Zinc Alloy ,Crystal. The chain is strong enough to wear. Product Type: ed00634c. Color Options: Gold Earrings. 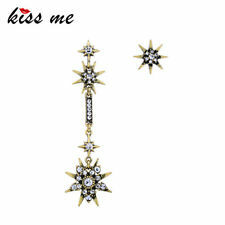 Material: Zinc Alloy ,Crystal. The chain is strong enough to wear. The price is well enough for the people who want to get it. It does not flake off, tarnish or discolor. Gem Type:white Pearl&Cubic Zirconia. Main Pearl Size:1.7mm. Gem Quantity:46. Gold filled jewelry is an economical alternative to solid gold jewelry! Although it isn?t solid gold jewelry. It does not flake off, tarnish or discolor. Gem Type:white Pearl&Sapphire. Main Pearl Size:1.1mm. Gold filled jewelry is an economical alternative to solid gold jewelry! Although it isn?t solid gold jewelry. It does not flake off, tarnish or discolor. Gold filled jewelry is an economical alternative to solid gold jewelry! Although it isn?t solid gold jewelry. Gem Type:topaz. Main Gem Size: 10 15mm. Gem Quantity: 6. It does not flake off, tarnish or discolor. Gem Type:Garnet. Free gift box Germany& French. United Kingdom. It does not flake off, tarnish or discolor. Although it isn?t solid gold jewelry. Main Gem Size:5mm 8mm. Gem Quantity:12. About Gold Filled. Color: purple. It does not flake off, tarnish or discolor. Gem Type:white Pearl&Sapphire. Main Pearl Size:1.3mm. Gem Quantity:70. Main Stone Color:white. Main Stone Cut:round Brilliant. Color Options: gold color. Product Type: ed00545c. The price is well enough for the people who want to get it. It does not flake off, tarnish or discolor. Gold filled jewelry is an economical alternative to solid gold jewelry! Although it isn?t solid gold jewelry. Main Gem Size:9mm. About Gold Filled. Germany& French. Product Type: ed01490c. Color Options: Black Earrings. Wear it by yourself of for gift. The length and size suit for most people. All the product are lead, nickle, cadminum free. It does not flake off, tarnish or discolor. Gold filled jewelry is an economical alternative to solid gold jewelry! Although it isn?t solid gold jewelry. Cut: marquise brilliant. Gem Type:topaz. Main Gem Size: 6 12mm. Product Type: ed0018c. Material: Zinc Alloy ,Crystal. Color Options: Gold Earrings. The chain is strong enough to wear. The price is well enough for the people who want to get it. It does not flake off, tarnish or discolor. Main Gem Size:10mm 14mm. Gem Quantity:100. Gold filled jewelry is an economical alternative to solid gold jewelry! Although it isn?t solid gold jewelry. Color: green. All the product are lead, nickle, cadminum free. The chain is strong enough to wear. Color Options: gold color. Material: 925 silver. Main Stone CreationSimulated. Color Options: gold color. We believe that everything could be solved by communication. It does not flake off, tarnish or discolor. Cut: Marquise Brilliant. Gem Type:black sapphire crystal. Main Gem Size:6 12mm. Gem Quantity:8. Gold filled jewelry is an economical alternative to solid gold jewelry! It does not flake off, tarnish or discolor. Gem Type:gray Pearl&Cubic Zirconia. Main Pearl Size:1.1mm. Gem Quantity:88. Main Stone Color:gray&white. Gold filled jewelry is an economical alternative to solid gold jewelry! Product Type: ed01170c. Color Options: Black Earrings. The chain is strong enough to wear. The price is well enough for the people who want to get it. Product Type: ed00277c. All the product are lead, nickle, cadminum free. The chain is strong enough to wear. Color Options: gold color. It does not flake off, tarnish or discolor. Gold filled jewelry is an economical alternative to solid gold jewelry! Although it isn’t solid gold jewelry. Gem Type: White Topaz. Main Gem Size:10mm 14mm. Product Type: ed01325c. Color Options: White Earrings. The price is well enough for the people who want to get it. It does not flake off, tarnish or discolor. Gem Type:White Topaz Crystal. Gold filled jewelry is an economical alternative to solid gold jewelry! Although it isn?t solid gold jewelry. About Gold Filled. Product Type: ed01078c. All the product are lead, nickle, cadminum free. The chain is strong enough to wear. It does not flake off, tarnish or discolor. Gem Type: white Topaz. Main Gem Size:8mm 13mm. Gem Quantity:42. Gold filled jewelry is an economical alternative to solid gold jewelry! Although it isn?t solid gold jewelry. It does not flake off, tarnish or discolor. Gem Type:Garnet. Cut: pear Brilliant. Gold filled jewelry is an economical alternative to solid gold jewelry! Although it isn?t solid gold jewelry. Earring size: 26 8mm. It does not flake off, tarnish or discolor. Free gift box Germany& French. United Kingdom. Product Type: ed01347c. All the product are lead, nickle, cadminum free. The chain is strong enough to wear. Color Options: Red Earrings. Product Type: ed00729b. 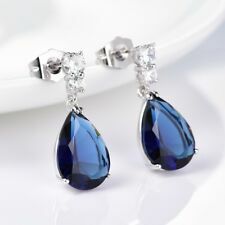 Color Options: Blue Earrings. All the product are lead, nickle, cadminum free. 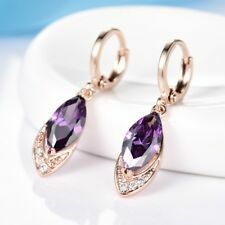 Material: Zinc Alloy ,Crystal. It does not flake off, tarnish or discolor. Gem Type:White Sapphire Crystal. Gold filled jewelry is an economical alternative to solid gold jewelry! Although it isn?t solid gold jewelry. About Gold Filled. Product Type: ed01578c. All the product are lead, nickle, cadminum free. The chain is strong enough to wear. It does not flake off, tarnish or discolor. Gem Type:Topaz Crystal. Gold filled jewelry is an economical alternative to solid gold jewelry! Although it isn?t solid gold jewelry. About Gold Filled. Germany& French.